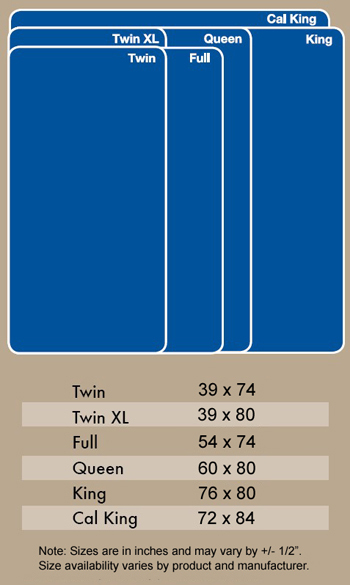 Below are mattress sizes. Odd sizes are also available on most models. Please note actual finished sizes are usually one half to one inch less. This is standard in the industry.